Along with daisies, they're my favorite flower. This week's Make It Monday is all about making flowers from leaf dies. The only leaf dies (PTI Leaf Prints) I have don't easily lend themselves to daisies, but I thought they made fine irises. I cut out a bunch of b's and d's out of watercolor paper, painted them with a combination of gelatos and re-inkers, and rolled them while they were still wet so they dried in a nice cone-like shape. I glued them together, and Wahoo! I have an iris! Ooh I like the iris! Very creative Sarah - great take on the challenge! VERY impressive ... so different than the normal "round shape" flowers. Would have never thought of it. Well done! Love your iris- the colours are fabulous. An iris! who would have thought....You clever girl!!!! Your card is amazing. So inventive. I love this! So different and creative! 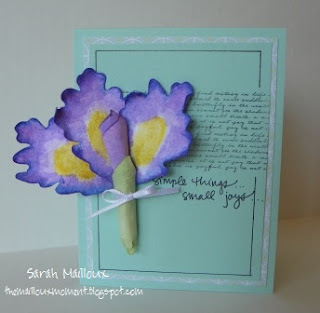 I love irises, too, and I recognized it immediately when I saw your card on the In Linkz list. This is absolutely amazing! SO creative! Everything about your flower is just gorgeous. Great job. 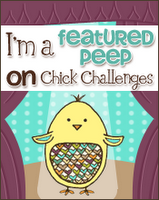 I love, love what you did with this challenge. Wow, Sarah, what a clever idea!! 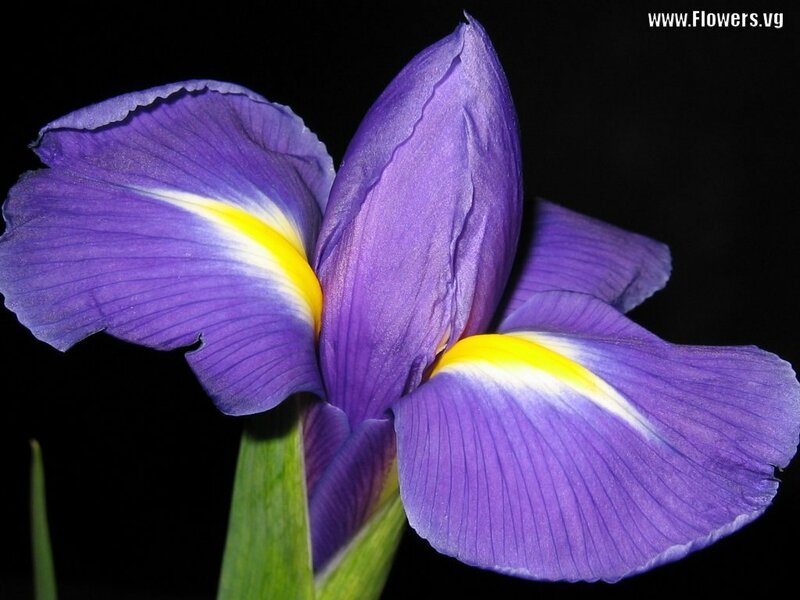 The iris is beautiful and your colouring is awesome. Love this! !